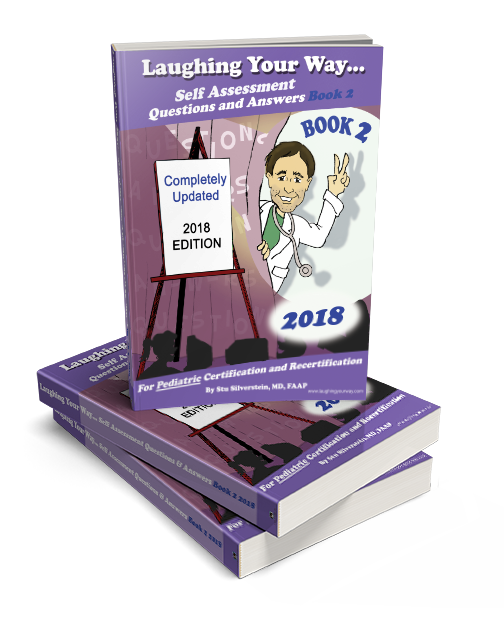 Our 3rd Edition Self Assessment Questions & Answers Volume 2 is the perfect supplement to our critically acclaimed “Laughing Your Way to Passing the Boards” ® main textbook for the Pediatric Certification and Recertification exams. This book will help you focus on areas that require more study as the questions are divided by specialty and focus on areas prior exams have tested upon. Clinical skills and the ability to successfully pass the exam are not the same. The key to passing the exam are in this book. Includes the most frequently tested and emphasized concepts for your examination. Spot the keywords used on the exam to help you determine the most likely answers quickly and efficiently, leaving more time for those trouble areas which can bog you down. 800 total questions when combined with our Self Assessment Questions & Answers Volume 1, 2nd Edition! Passing the exam is a specialized skill that requires you to know the material in a specific way that is outlined in our series. Part of this process is knowing intricate details of the material and being able to recall it.